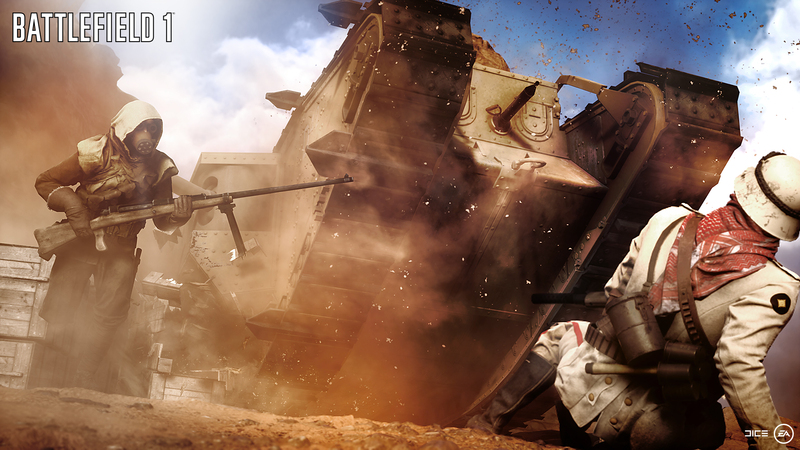 Battlefield 1 Review: Will Call of Duty Compete? Now that I have had a few days to sit down and spend with the game, I would first like to say that this is easily one of the best FPS games I have ever played. Let’s talk first about the single player experience. After playing through a few of the missions, sadly I have to report that my prediction of a ticket based campaign system did not come true. The first mission is the only one where you are switching back and forth between other characters in a single mission. On a more positive note, there’s the graphics. This game is stunning! I heard someone describe this game as more beautiful than the Endor map of Star Wars Battlefront, and at first, I dismissed them as absolutely insane, however, much to the chagrin of our Star Wars expert Josiah LeRoy, Star Wars does not reign supreme in the video game department for graphics anymore. Even in multiplayer this game’s graphics are amazing. Order Your Copy of Battlefield 1. The last thing I want to mention about the graphics is that this game, in the campaign especially, feels like you are watching a movie at times. When you pick up this game, definitely play the campaign. This is easily the best Battlefield campaign we have seen from the franchise. Now onto the multiplayer. The game is extremely well designed and one of my favorite additions is that vehicles, and even weapons, can take damage and show it. Instead of just having health bars when you shoot a plane, you can actually see pieces fall off the plane. If you are crawling around in the mud you can see the mud start to build up on your weapon. The attention to detail that Dice has put into this game is phenomenal. We’ll see whether Call of Duty can live up to it. Pre-order Call of Duty now. The multiplayer does have some small bugs, like not being able to change your class without being in a game, not being able to leave a match while in between games, and having the small amount of imbalance with some of the weapons. Other than those small problems the game is fantastic. +Graphics – Stunning and high quality. +Story – Well written and a drastic improvement from other games in the franchise. +Controls – Easy to play, making it more all the more enjoyable. +Replayability – Graphics + well written story = lots of replay. -UI – Needs some small adjustments, like being able to customize load out in game. -Balance – Definitely needs some nerfs and buffs. Did you play Battlefield 1? What did you think? Will it compete with Call of Duty? Leave a comment below. Adam Herr is a Video Producer for The Geekiverse and is one of its few elite FPS players. Follow him on Twitter. Be sure to keep up with The Geekiverse across social media platforms on Facebook, Twitter, & Instagram. Watch The Geekiverse Show on YouTube and listen to The Geekiverse Channel on iTunes & SoundCloud today!